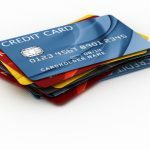 This post continues our series describing features of the best credit card offers in specific categories. So far we’ve taken a look at PenFed credit cards, Chase credit cards, Citibank credit cards, and Top 8 Balance Transfers. 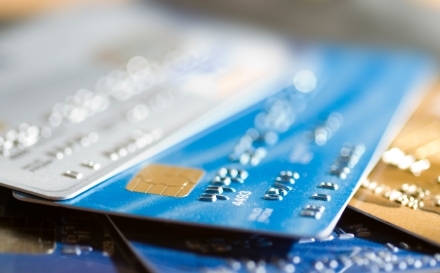 Today we’re happy to bring you information about the best low interest credit cards. A great low interest credit card is a wise choice for almost anyone. Chase Freedom® is a cash back credit card that offers a low introductory interest rate as well as a low ongoing interest rate. APR on both purchases and balance transfers for Chase Freedom is 13.99% to 22.99% variable rate*. This depends greatly on your credit history. Borrowers with excellent credit will be able to take advantage of the 13.99% APR. The APR for cash advances and overdraft advances is a variable 23.99% APR. There is a variable penalty APR of 29.99% for people who fail to make on-time payments for an extended period of time. Chase Freedom is a cash back credit card which offers up to 5% cash back in rotating bonus categories such as gas stations, restaurants and more, subject to quarterly enrollment and maximum. These categories rotate every 3 months. Purchases not in the 5% rotating category earn 1% cash back. Chase Freedom also offers Chase Blueprint, a program that allows you to choose different repayment methods on individual purchases or on your total balance. There is no annual fee for Chase Freedom. There is a 3% ($10 min), whichever is greater, fee for cash advances and 3% ($5 min), whichever is greater, fee for balance transfers, a late fee of up to $35 depending on your account balance, and a fee of up to $35 for going over the credit limit or having your check returned. The PenFed Promise Visa Card was recently highlighted by the New York Times Bucks Blog as “a decent product for those in debt.” This is due in no small part to the fact that it offers a terrific low interest rate. This card features an introductory purchase interest rate of 7.49% APR which lasts for the extended period of 36 months. When the introductory purchase rate eventually comes to an end, the interest rate on the card will vary with the Prime Rate and is currently 9.99% APR. Even cash advances are available at a low variable 9.99% APR. 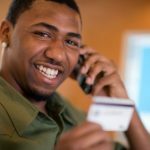 Another reason that the PenFed Promise Visa Card is cited as being a terrific card for people with debt problems is because it is a no fee card. In addition to no annual fee, there are no fees for balance transfers, cash advances, or going over the limit on the card. There aren’t even fees for late payments! The one fee that you may have to pay is to join an approved organization for membership to PenFed Credit Union. PenFed cards are available for credit union members who are part of the U.S. Military or employed by the U.S. government (for example); other applicants may be required to open an account and pay a low one-time membership fee to an approved organization (see PenFed website for details). There are no rewards for this card. However, with the lack of fees and the ongoing low interest rate, the PenFed Promise Visa Card can be a terrific option for people who are looking for a no-frills card. 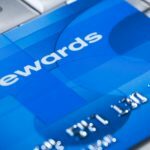 CardRatings.com mentioned the PenFed Travel Rewards American Express Card was one of 2009’s best credit cards. This is due to the combination of a low interest rate and a good rewards program. All purchase rates and cash advance rates are very low at a variable rate of only 9.99% APR. Your APR will vary with the market based on the Prime Rate. This is one of the lowest cash advance APR offers in the market. PenFed Premium Travel Rewards American Express Card is a travel rewards card. With it, you get 5 points per dollar spent on airfare purchases, and 1 point per dollar spent on other purchases. Reward points can be redeemed for travel, merchandise, and gift cards through PenFed Premium Rewards. The PenFed Premium Travel Rewards American Express Card does not have an annual fee. Similar to the PenFed Promise Visa Card, you may need to pay a low one-time membership fee to an approved organization if you don’t qualify for PenFed Credit Union membership through your association with the U.S. Military or as an employee of the U.S. government (for other options see PenFed’s website). The PenFed Platinum Cash Rewards Visa Card provides a great general credit card with a low interest rate. The variable APR for purchases and cash advances is only 9.99% APR. This is one of the lowest rates available for cash advances. Your APR will vary with the market based on the Prime Rate. The PenFed Platinum Cash Rewards Visa Card is a favorite general cash back credit card with bonus cash back on gas purchases. The Plus version of the card features 5% cash back on gas purchases paid for at the pump. To get the Plus version of the card you must obtain a qualifying PenFed product such as an active checking account with direct deposit ($250 min). Certain restrictions may apply. The Standard version of this card offers 3 percent cash back on gas purchases paid at the pump and an introductory annual fee of $0, then a $25 annual fee. There is no annual fee for the Plus version of the PenFed Platinum Cash Rewards Visa Card. As with the other cards from PenFed, you need to either qualify for membership to the credit union based on your association with the U.S. Military (for one membership option) or pay a one-time low membership fee to an approved organization to join the credit union issuing the card. There is no cash advance fee or over-limit fee. Late fees range up to $25 depending on account balance. Returned check fees are up to $25. If you are interested in this offer be sure to review the issuers application page for terms and conditions and other related information before you apply. The Simmons Bank Platinum Visa card requires that you have excellent credit to obtain it. Your reward is ongoing great low interest rates. The variable rate for both balance transfers and purchases on this card is a low 7.25% APR. Excluding introductory offers, this is one of the lowest interest rates in the industry. The cash advance rate on this credit card is also low variable APR at only 11.25%. In fact, this is the lowest ongoing cash advance APR that we’ve seen in the current market. This card doesn’t have a rewards program. However, you do get many different perks when choosing this card. Those perks include travel accident insurance coverage up to $1, 000, 000, car rental coverage and emergency cash and credit replacement for stolen cards. There is no annual fee for the Simmons Bank Platinum Visa credit card. There is no balance transfer fee on this card and the cash advance fee is a low 3% of the amount of each cash advance, but not less than $4 nor more than $50. The late payment fee on this card is an amount equal to past due payment or $25, whichever is less. The Simmons First Visa Platinum Travel Rewards card offers some of the same benefits as the Simmons Bank Platinum Visa card but it also has a rewards program. The APR for this card is slightly higher but still very low variable rate at just 9.25% for both purchases and balance transfers. Cash advance variable APR is also low at 13.25%. The Simmons First Visa Platinum Travel Rewards card offers you great travel rewards. You get one point per net dollar spent. Points can be used for air travel with no seating restrictions or blackout dates. Points can also be used for other travel-related purchases such as hotels, cruises, vacation packages, car rental, and restaurants. In addition to the travel rewards, you get the same card perks (such as travel insurance) that are offered on the Simmons Bank Platinum Visa. There is no annual fee for this credit card. There is no balance transfer fee. Cash advance fees are a very low 3% of the amount of each cash advance, but not less than $4 nor more than $50. Late fees are an amount equal to past due payment or $25, whichever is less. Note: Offers change frequently; please be sure to check the card issuers website to ensure all details and information are correct. Thanks for posting this! Very useful! I will apply to one or two of these!